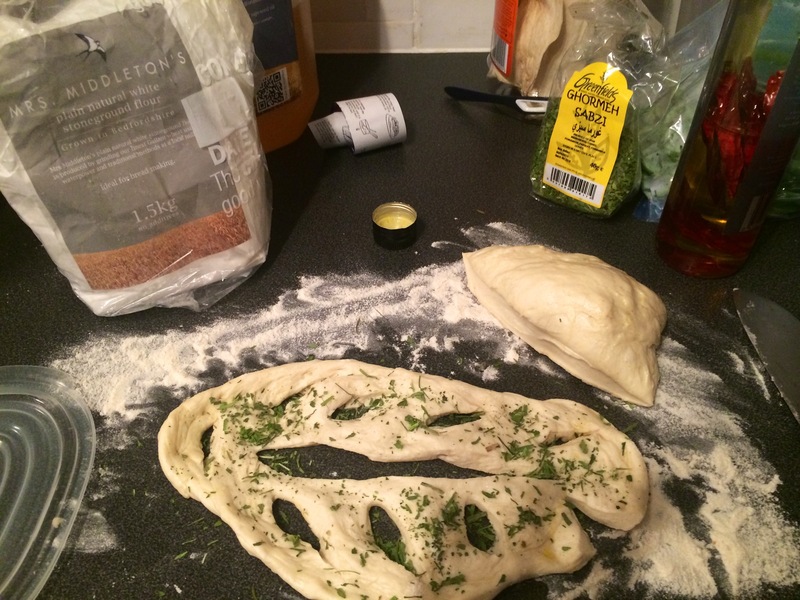 We are a little bit addicted to this fougasse now.. Even when we finished this one up Mrs Fitz was talking about the next.. ! This one we changed slightly.. The dough was aimed more at a ciabatta mix.. Again Mrs Fitz took the reigns for this part.. I must watch what she does..
Once risen.. Knocked back down and coated in a little olive oil.. Then left to to back up a little again ..
Mrs Middletons pimped chilli oil skazzered over the top and ghormet sabzi Lebanese herb mix over the top.. I know you are supposed to rehydrate this mix.. yet I think it really works as a dried number too! Great flavours… Great smells.. When was it ready? Ummm when we both agreed in it! Again with the baba ganoush .. And the oil and balsamic .. Need to find the zatar.. 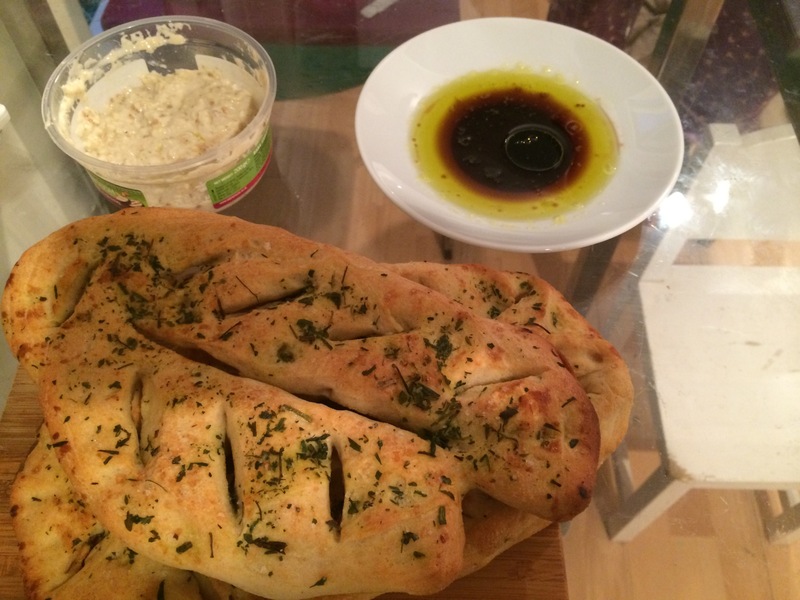 Tags: baking, food, fougasse bread, lebanese herb bread, whats the fuss about fougasse?